For safety reasons, many buildings and environments require regular monitoring of carbon dioxide levels. MadgeTech has engineered the RFCO2RHTemp2000A data logger. 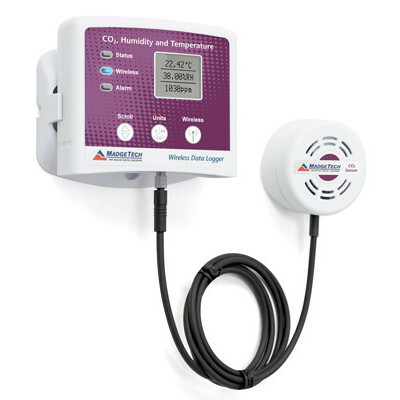 This wireless data logger can identify areas affected by poor air quality and/or inadequate ventilation, while also monitoring humidity and ambient temperature levels. Easy to use, this high-quality device can be used to detect and analyze CO2 levels in schools, hospital, offices or virtually any building. 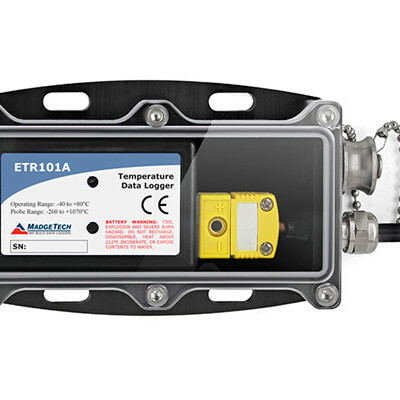 This CO2 data logger can act as a vital diagnostic tool, pinpointing faulty equipment and areas where repairs are needed. The MadgeTech RFCO2RHTemp2000A is also a great solution for monitoring indoor air quality for agriculture and horticulture applications.